The wind blows through his feathers as he soars high in the sky and his glittering plumage reflects the glossy iridescence of differing shades of blue, red and purple. 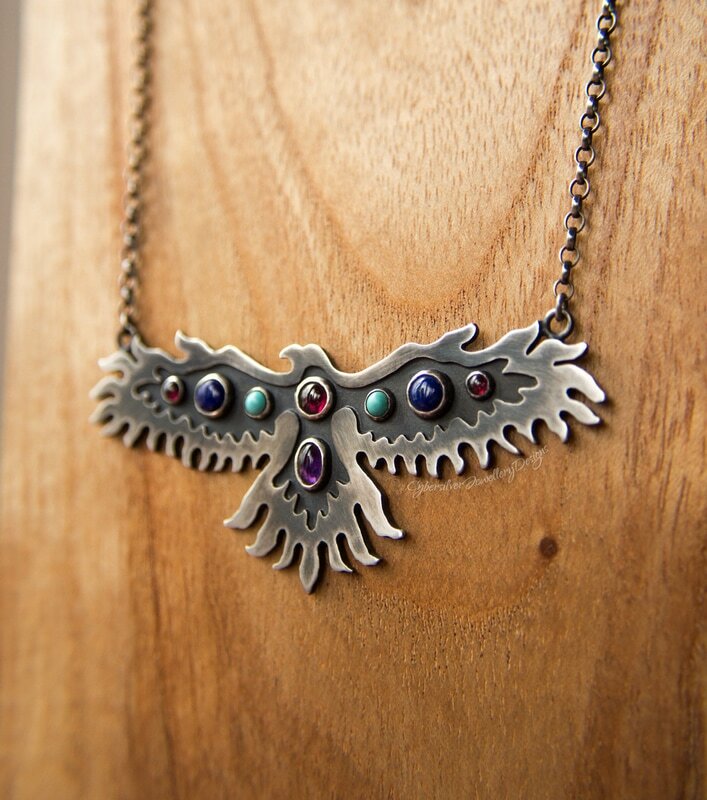 Entirely handmade from hand cut layers of thick sterling silver, this impressive raven is set with eight individual gemstones. He has been given a dark patina which has been lightly brushed to give him a beautiful dark finish. 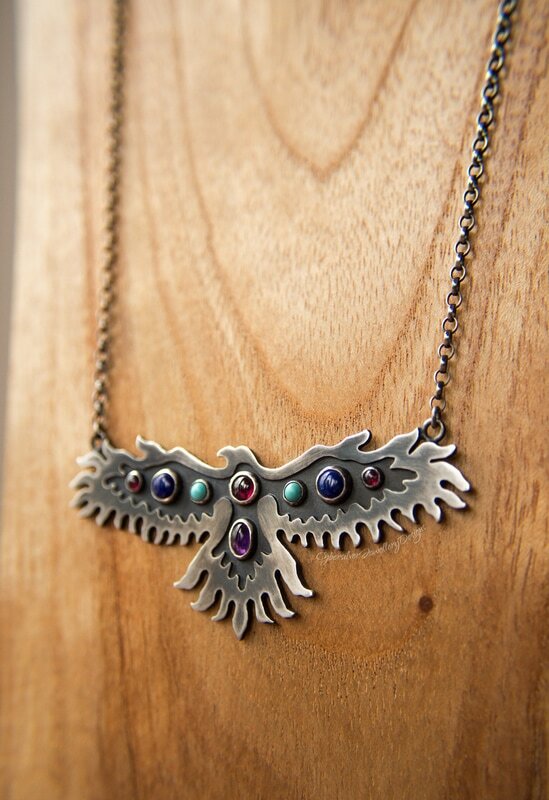 The chain has also been oxidised and is finished with a handmade clasp. The silver has been waxed with a microcrystalline wax to help protect the oxidised surface. Oxidisation is a surface treatment that can lighten with wear. As with all of my pieces, each and every jump ring is handmade and soldered closed to prevent any piece of the necklace coming apart or getting lost. Your necklace comes gift boxed - perfect for giving. Length of chain - approximately 18"
Dispatched within 5 working days - if you require your necklace sooner please message me.